Contrary to the hustle that is the modern-day music business, Moncton roots-rock group Colonial Quarrels is content to work at their own pace. Although they certainly would not argue should they found themselves with a monster hit or viral video on their hands, they aren’t exactly pinning all of their hopes on either of those things happening. For definitive proof of their relaxed attitude, one only needs to examine the release of their newest record You Snapped So I Cracked. It’s only their second full-length release after being together more than a decade. “It is true that we keep a low profile,” Colonial Quarrels vocalist-guitarist Remi Cormier begins. “There are different reasons for it. Some of us in the band are a little more outgoing than others but, probably to our detriment, we aren’t ones to toot our own horns very loudly. The band is an honest to goodness labour of love. 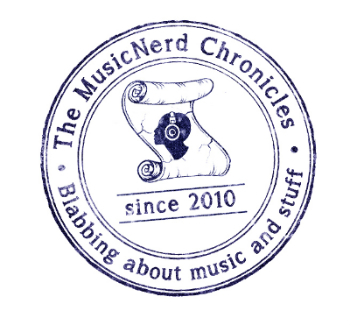 We are terrible self-promoters of our own music. Speaking for myself, I have been my worst enemy in terms of getting noticed or trying to attract attention to the band’s body of work. It doesn’t mean that the band isn’t a great source of pride for us, however, even with the limited success we have found. Recording for You Snapped So I Cracked began as early as 2010, the year after the group released their debut album The End Was An Honest Mistake. Keeping with the overall relaxed attitude of the group, its members would simply work on the album in bits and spurts. 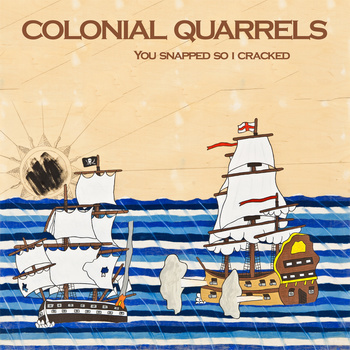 Remi says that while Colonial Quarrels debut was more reflective of his writing a full album on his own, You Snapped So I Cracked is a collaborative effort between all members of the group. While Colonial Quarrels have remained largely out of the spotlight over the last few years, fans should not see their new record as marking a “coming out” of the group. The reality of the situation is that they aren’t altogether unhappy with what their status quo has become. “We are very much a band that flies by the seats of our pants,” Remi says. “We tend to be more reactive than proactive but are trying to get better. We have a few local shows planned and are going to mail out the new record to promoters, publishers and other places we might be able to secure a little bit of press for our songs. When: Friday Oct. 24, 10:00 p.m.